Back Row (L to R): A. Duggan, B. Shields, P. Enright, J. Power, J. Cosgrave, C. Kelleher, M. Power, B. O'Connor. 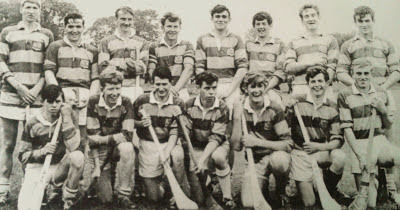 Front Row (L to R): P. Flynn, B. O'Brien, M. Cliffe, J. Flynn, G. Fives, L. Cliffe, S. Murray. 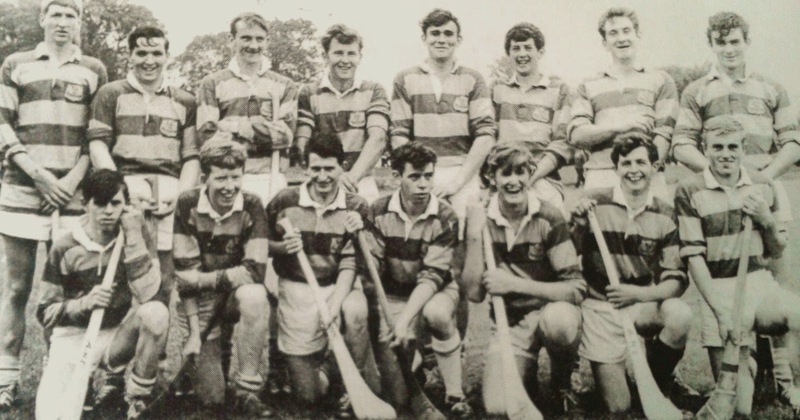 This week's photo shows the Abbeyside team that won the inaugural U21 County Hurling Championship in 1966. Comfortable victories over Stradbally (3-8 to 1-6) in the Western Final and De La Salle (4-12 to 2-9) in the County decider wrote this great team into the history books of Waterford hurling. Our popular Jack the Joker Fundraiser will continue this Sunday night in Kennedy’s Live at 9:30pm where the Jackpot will be €4,664 as on Sunday night Pat Queally was drawn out of the drum but did not find the Joker, however he does win €50, while Caroline Lynch and Mike Queally won €25. We appeal to all our supporters to continue purchasing the tickets as the funds raised will go towards our ongoing development works at the club grounds. Our club has teamed up with Brickey Rangers in a novel fundraising event called “The Brawl in the Hall” organised by White Collar Boxing. Twelve boxers from each club will square up to one another in three 1½ minute rounds of action. Training has commenced so all boxers will be in prime condition in time for the big night. The event takes place on Saturday, 15th December at Dungarvan Sports Centre with tickets priced at €10. These will be available shortly. More details to follow in the coming weeks. This Sunday we will be staging a Monster Bingo in The Park Hotel where there will be a prize fund of €2,500. The bingo will start at 3pm and we would encourage as many of our members as possible to get along on the day and support it. There will be a meeting of the club committee on Thursday, November 22nd at 8 pm. On behalf of all in the club we would like to send our sympathies to the family and many friends of the late Tony Wright who passed away recently. Along with his brothers Frankie, Ollie and Joe, Tony played for the club winning divisional and county honors. Ar dheis lámh Dé go raibh a hanam usail. Coláistí na nDéise recorded a good win over North Mon on Friday last. They won on a scoreline of 6-24 to 1-6. This win guarantees the boys a place in the quarter finals of the competition. There will be no indoor hurling this Friday night as the Friary have their Open Day on Saturday. We will return to indoor training on Friday 23rd November at 6.00pm. 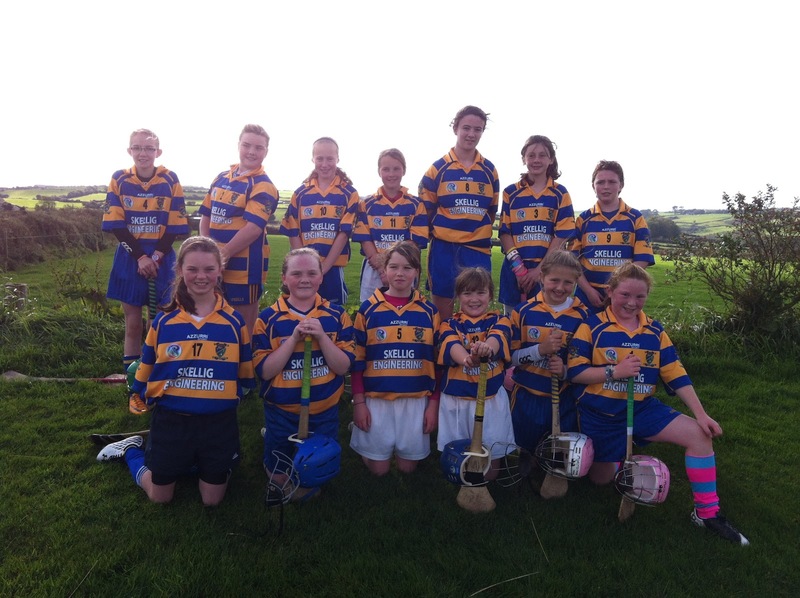 Back Row (L to R): M. Foley, M. Hayes, R. Fives, N. Hannigan, L. O'Connor, J. Mulligan, B. Foley, Seán Feehan, L. Shanley, G. Looby (Capt. ), Séamus Feehan, J. Organ. 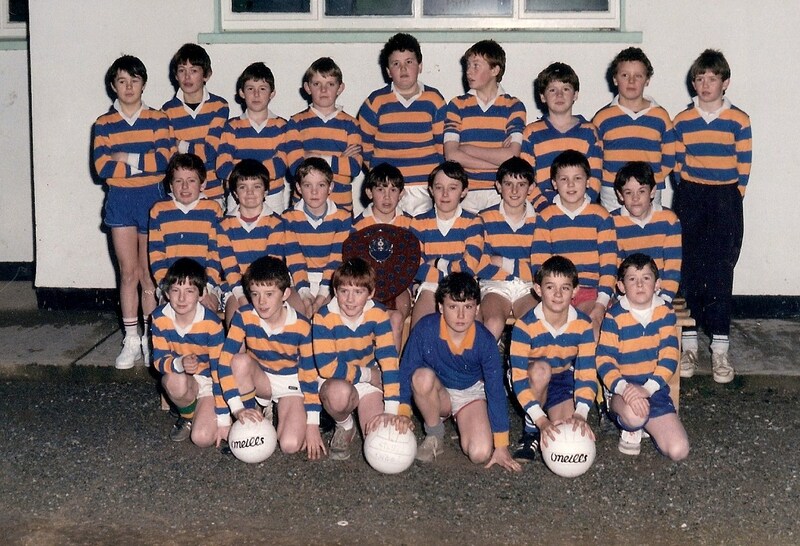 Front Row (L to R): J. Curran, J. Kiely, J. Regan, D. Looby, M. O'Riordan, T. Wade, J. Healy, K. Mulvihill, T. Kiely. 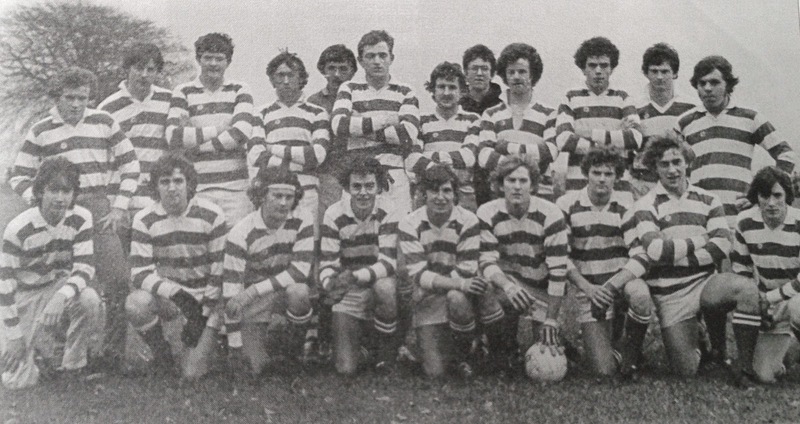 This week's photo features the Ballinacourty U21 Football team that landed the 1979 Western and County Titles in what was an unprecedented year for football in the club. These titles were added to the Western Minor and County Senior Championships already secured. Early round victories over Stradbally and Brickey Rangers set up a Western Final against Kilrossanty at Fraher Field. 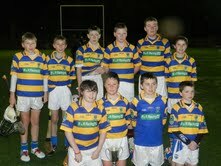 A narrow 1-9 to 2-3 win was followed by a 2-8 to 2-4 triumph over Ferrybank in the County Final. Our popular Jack the Joker Fundraiser will continue this Sunday night in Kennedy’s Live at 8pm where the Jackpot will be €4,422 as on Sunday night Johnny Shields was drawn out of the drum but did not find the Joker, however he does win €50, while Alice O’Connor and Kathleen Collins won €25. We appeal to all our supporters to continue purchasing the tickets as the funds raised will go towards our ongoing development works at the club grounds. Our club has teamed up with Brickey Rangers in a novel fundraising event called “The Brawl in the Hall” organised by White Collar Boxing. Twelve boxers from each club will square up to one another in three 1½ minute rounds of action. Training will commence in the near future so all boxers will be in prime condition in time for the big night. The event takes place on Saturday, 15th December at Dungarvan Sports Centre with tickets priced at €10. These will be available shortly. More details to follow in the coming weeks. On behalf of all in the club we would like to wish John Phelan the very best of luck as he has recently headed to Australia to take up employment. John has been an ever present on both our adult hurling and football teams for many years now since he was part of the side that won the Intermediate County Football title in 1998. John went on to win Intermediate Hurling and Senior Football titles with us and whilst he will be a huge loss to us in the club we wish him the very best in Australia. The final group game for Coláistí na nDéise takes place this Friday, 9th November. The boys will be taking on Gaelcholaiste Mhuire in Castlemartyr at 1.30pm. A win will guarantee their spot in the quarter finals. It is hoped to return to training early in the New Year. 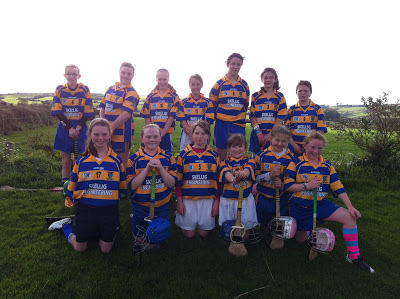 Pictured below are the girls who took part in the recent St. Anne's Camogie Blitz. 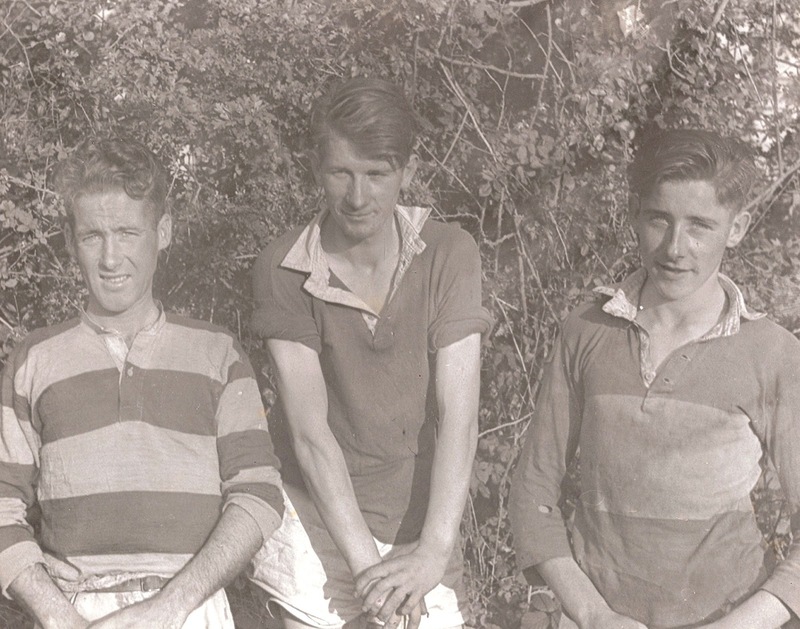 This week's photo shows three hurling greats who played such huge roles in Abbeyside's emergence as a genuine force in Waterford hurling during the 1950s and 1960s.